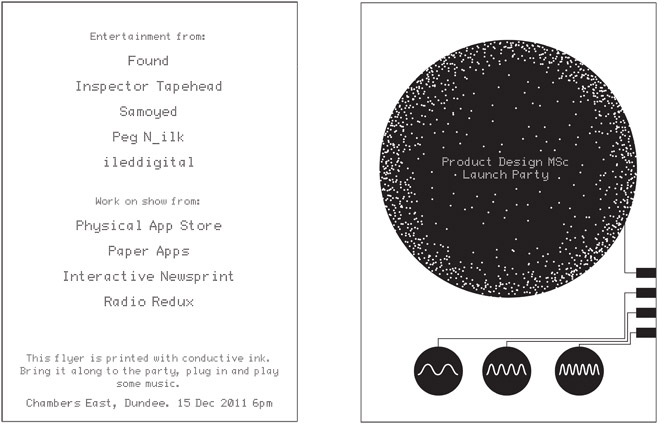 We have created interactive invites for the Product Design MSc launch party. The invites also double as musical instruments, when brought along to the event the audience can plug their invite into a little box and they become fully interactive playing 8bit music. 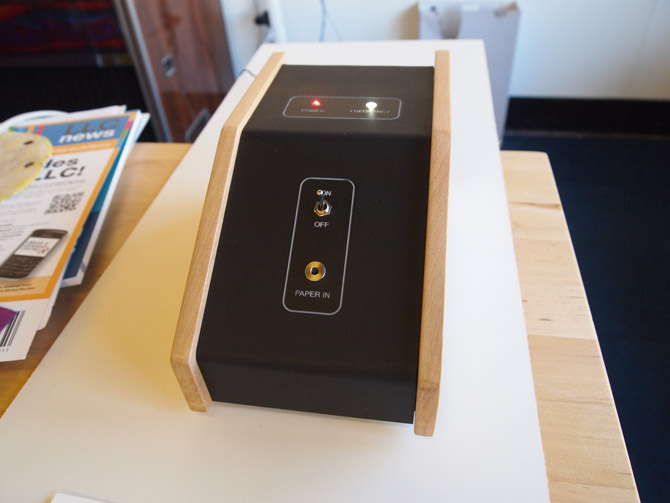 The user can control the pitch as well as the frequency of the beeping. 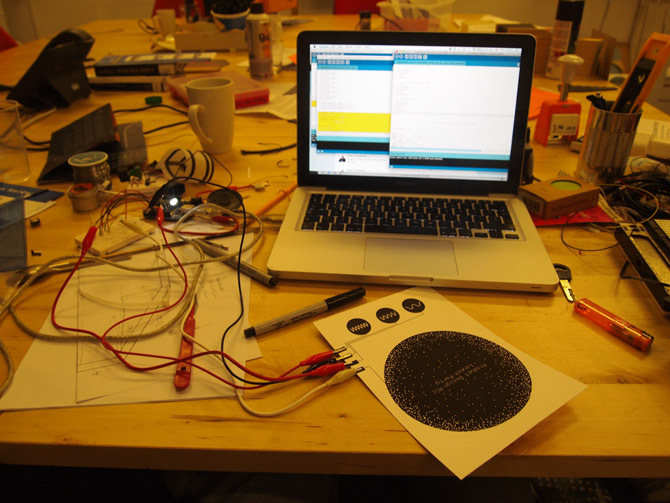 The large circle acts as a distance sensor, the closer your hand is to it the higher the pitch of sound. The three small circles control the frequency of beeps. This all works with capacitance. 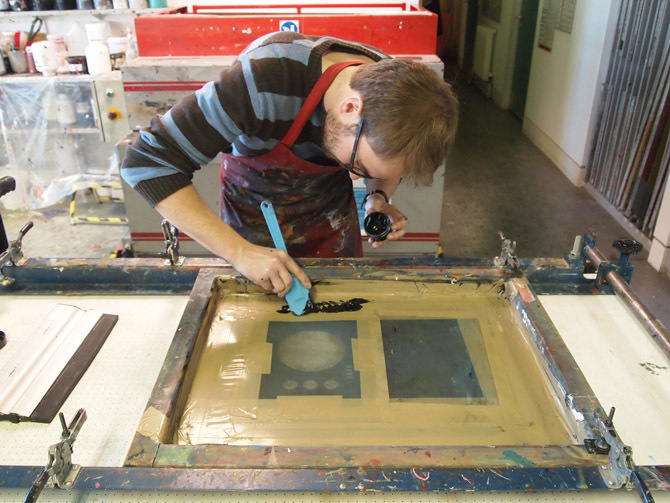 Tom applying the ink onto our screen. 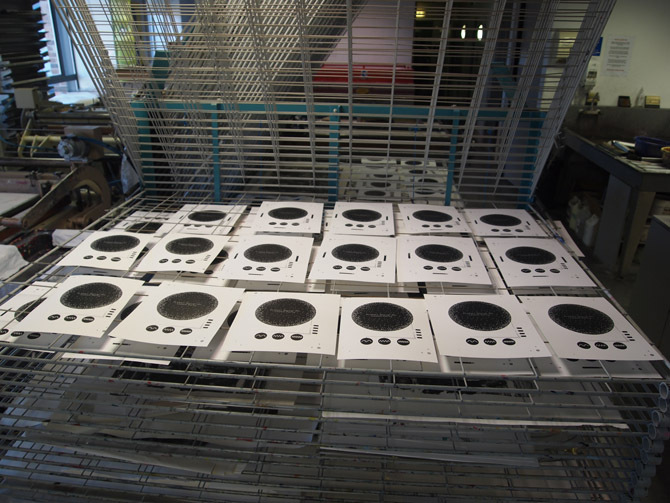 Move fast – the ink dries very fast so we really needed a fast production line going. Keep the screen small – we initially tried to print on a large screen (both sides of the invite) meaning more ink was wasted around the sides and you could not work as fast. We went on to just print each side separately on a smaller screen which worked much better. 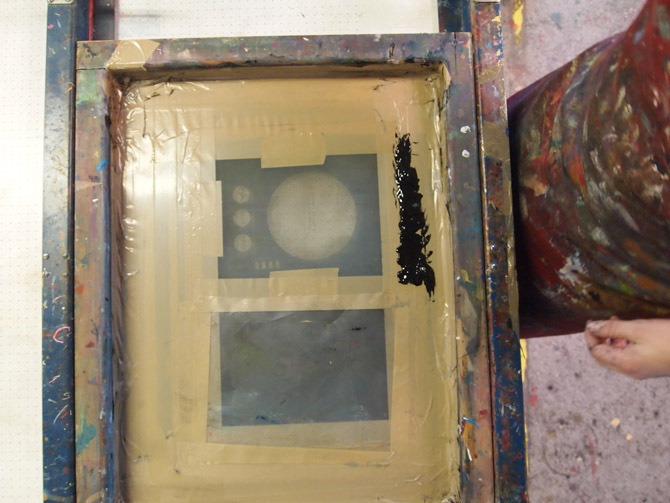 Trace size – We were using a line thickness of 1pt If I were to do it all again I would increase this to 1.5pt or 2pt as the trace was sometimes broken. When people bring their invites along to the event they need to plug their invite into something to play along with the entertainment. I created this little box that plugs into the P.A. system. 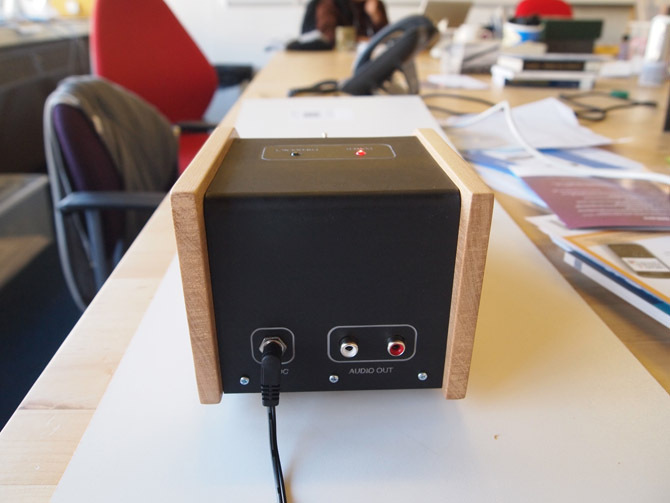 This box has an arduino inside that figures out what is being touch and creates the 8bit music. One of the biggest challenges with paper electronics is finding ways to connect the paper to batteries/power/arduino. 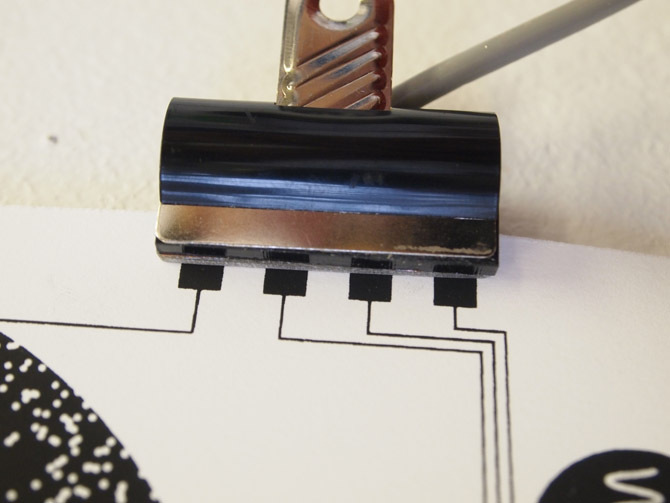 I decided to hack a bulldog clip that connects to 4 different traces on the paper. It simply involves a section of copper board scored into four sections sandwiched between two pieces of acrylic within the bulldog clip. This solution makes it easy for the user to connect their invites, it also does not damage the paper like crocodile clips or paper clips do. I will upload some videos soon….